The comic book industry spent years on the edge of irrelevance, struggling to find an audience after the boom of the 1990s ended. Nowadays, thanks in no small part to the surge in superhero movies, comic book distribution is higher than it’s been in decades. According to comic sales analyst John Jackson Miller of Comichron, Diamond Comic Distributors shipped about 10.26-million comic books to North American shops in August. That means stores and retailers ordered over $57-million worth of comics and graphic novels. The last time Diamond hit that number was all the way back in December 1996. There are plenty of reasons why comic books are filling store shelves. First, the explosion of comic book movies over the past decade has reignited interest in comic books, especially among new fans. We’re also seeing more comic book shops open across the country. There were at least 80 to 100 more comic book stores at the beginning of 2016 than there were just a year before. The August boom is also largely thanks to DC’s Rebirth event, which relaunched every comic in the publisher’s line. 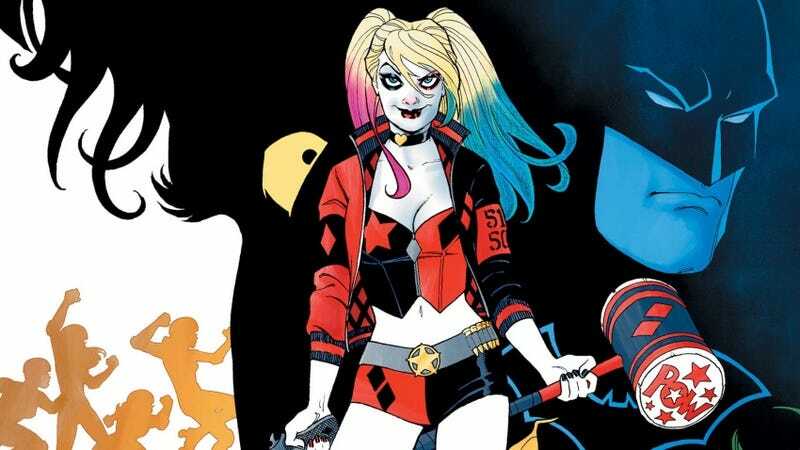 According to The AV Club, nine out of the top 10 comics last month were DC, with the top seller being Harley Quinn #1. Amazing Spider-Man #16 was the only Marvel comic in the top 10. Now, those numbers only account for the supply, not the demand. Currently, there’s no nationwide measure that openly tracks sales, so we don’t know exactly how much of the circulation has turned into readership. Comichron did estimate that over 7-million comics were sold last month, which is pretty damn good. Update: Clarified that there’s no open nationwide tracking of comic book sales, since there are likely industry tools not available to the public. What’s Your Favorite Line from a 2016 Comic Book So Far?